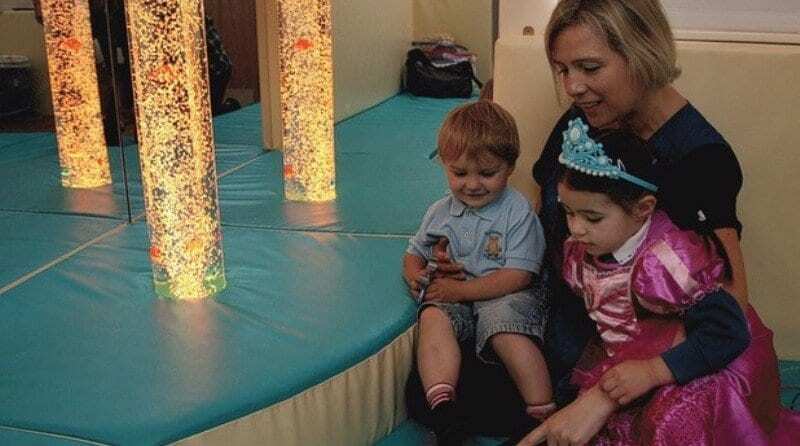 Buttsbury pre-school, in Billericay recently launched its new sensory room after receiving £1,900 worth of funding from the Co-operative Trust and £1,500 from the Ford Britain Trust. Created for all children to enjoy, including those with special needs, the latest addition to the pre-school boasts many stimulating items including a bubble tube with colour changing lights, the children can self select. “It is a lovely quiet environment where the children feel more comfortable to speak and open up,” said Buttsbury Pre-School staff member, Louise Knight. Local MP John Baron, who has supported the pre-school throughout their application for funding and at the opening of the new sensory room said, “This sensory room is a fantastic facility for both the pre-school children and the additional needs children in the local community. Ruth Havis, treasurer and trustee of the pre-school added: “The practical support received from John Baron was extremely beneficial in applying for grant funding. “We are very grateful for his assistance with letter writing and in finding time to help with a project which will not only benefit the children of the pre-school but also the wider community. Do our settings need more support from local governments? Should we have more of these sensory rooms in our local communities?